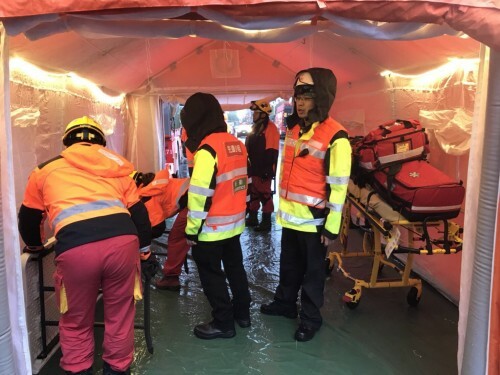 A-PAD and PWJ immediately went into action and deployed the A-PAD Search and Rescue (SAR) Team leader Mr. Chun-Yuan Huang to the most damaged city Hualien to join the Taiwanese rescue team called Tekkantai, a A-PAD’s partner organization in Taiwan. 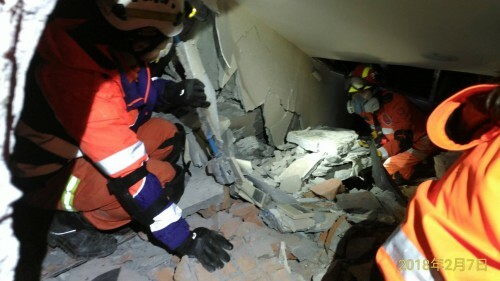 Mr. Huang and other rescuers of the team have been looking for survivors in the collapsed buildings, while medical team members treat the injured. 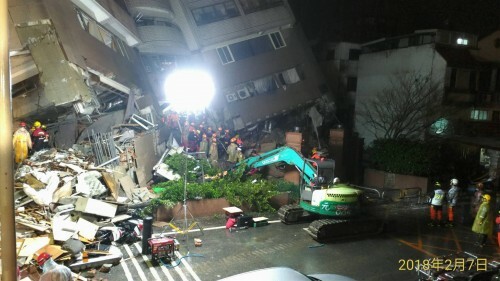 “We, the rescuers, are working hard to look for missing people who are probably trapped in the collapsed and damaged buildings despite dangers of more collapses from strong aftershocks,” Mr. Huang said. “By being on the ground with other rescue teams that A-PAD collaborated with during the 2016 Taiwan earthquake and exchanging information with them, I feel that we are seeing the results of A-PAD efforts to have taken part of rescue trainings in Japan and overseas and to have built a network with international rescue teams,” he added a comment. A-PAD continues to look for people missing and support for the earthquake victims in Taiwan.